A forest ranger spotted the panda on Wawu Mountain and quickly took two photos. 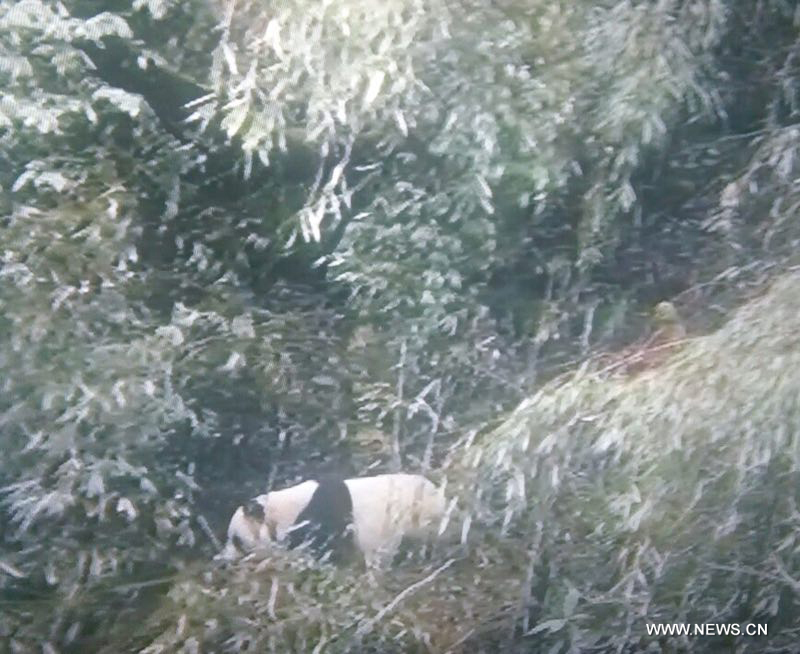 One photo showed the panda sleeping in a tree while the other displayed the panda running away after seeing the ranger, according to Yang Chun, head of the administration in Meishan city. "Wawu Mountain is home to bamboo shoots. Perhaps the panda was searching for food," Yang said. Yang said that wild giant pandas had been spotted in the nature reserve several times, and they had rescued pandas in 2005 and 2009. In 2014, a camera photographed a wild panda in the forest. Giant pandas mainly live in the mountains of northern Sichuan as well as southern Gansu and Shaanxi provinces. With improved habitats, the population of wild pandas has grown. A national survey released in February 2015 showed that as of the end of 2013, China had 1,864 wild pandas and 375 in captivity.